Successfully Added Lenovo Moto M Android Smartphone - Android 6.0, Dual-IMEI, 4G, Fingerprint, Octa-Core CPU, 4GB RAM, 5.5-Inch Display (Gold) to your Shopping Cart. 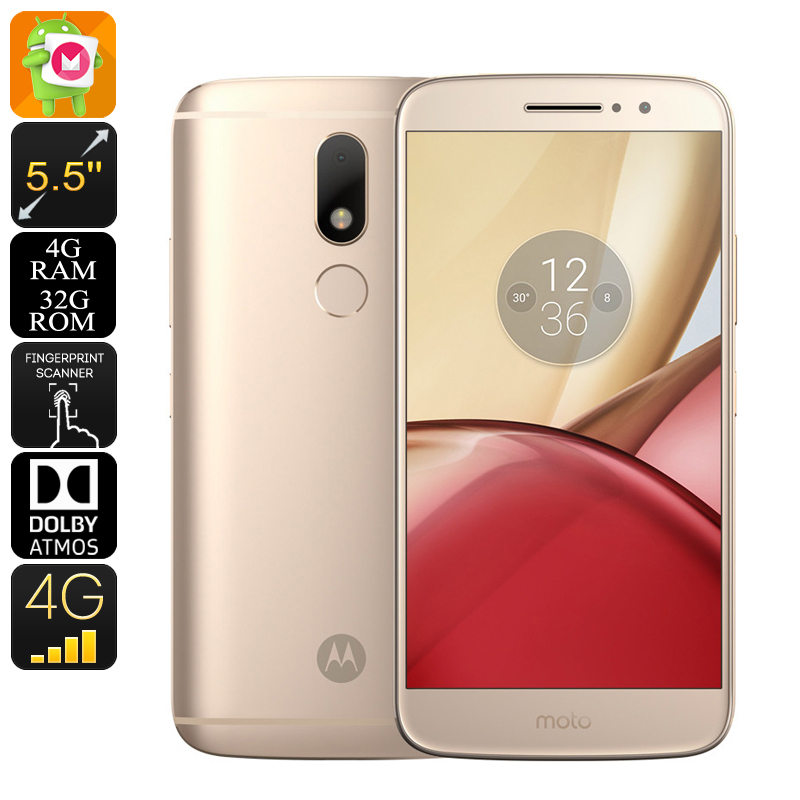 To everybody that just likes to take a little bit more out of their Android smartphone, we introduce the Lenovo Moto M. Packing sophisticated hardware, state of the art operating system, and an absolutely stunning 16MP camera – this Android phone is guaranteed to meet the needs of all smartphone users out there. Its Android 6.0 Operating system comes packed with the latest features and assures a smooth and powerful performance. All the amazing features of this Android phone can now be enjoyed for countless hours continuously thanks to the phone’s epic 3050mAh battery. Whether you head out for a trip and use this amazing smartphone to snap pictures or enjoy a media filled day from the comfort if your own sofa – the Lenovo Moto M packs enough juice to get you through the longest and most demanding of days without needing to worry about battery life. With its MT6755 Octa-Core CPU that has been clocked at 2.2GHz, this Chinese Android phone lets you engage in demanding games, stream Full-HD movies and use the latest applications without dropping a frame. The stunning 4GB of RAM that this smartphone features further increases your user experience by opening up the doors for excessive multitasking sessions, making this Lenovo smartphone suitable even for the most demanding of smartphone users. Games, movies, Apps, and more – no matter what you throw at this Android phone, there is nothing that will slow it down. With 128GB of external memory support, you will always have enough storage to save your favorite media. By supporting two IMEI numbers, this 4G smartphone lets you take your connectivity to an entirely new level. From now on you will be able to increase your overall data coverage significantly by being connected to two 4G network providers simultaneously. Additionally, you will also be reachable on two phone numbers while using just one device – making this the perfect Android phone on which to separate work and private life. No matter where life will take you next, with the Lenovo Moto M at your side, you will always have the means necessary to stay connected to all your friends, family, and loved ones back home. What sets this latest Android phone really apart from its competition is that, besides its stunning hardware, it also features a mesmerizing 16MP rear camera that allows you to snap breathtaking images and video. Whether you’re enjoying a night out with your friends, attending a graduation ceremony, or relaxing at the beach – from now on you can be assured that not a single special moment in life passes by without you snapping the perfect picture. The Lenovo Moto M comes with a 12 months warranty, brought to you by the leader in electronic devices as well as wholesale electronic gadgets..